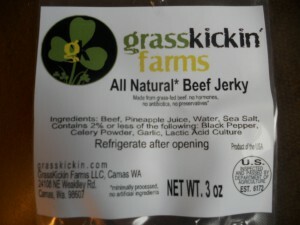 NEW Grass-fed Paleo Beef Jerky! 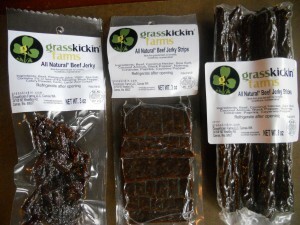 100% Grass-fed Beef and All Paleo Ingredients makes GrassKickin Beef Jerky! 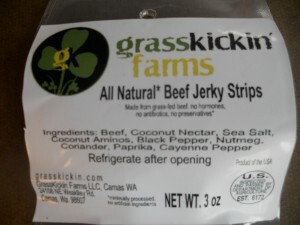 Our Grass-fed Beef Jerky Sticks and Strips are made with Coconut Aminos and Coconut Nectar, combined with our special mix of spices..Paleo favorites! Our Grass-fed Beef Jerky Chews are knife cut by hand made with Pineapple Juice and cured with Celery Powder, with our simple spice mix…very Paleo friendly! 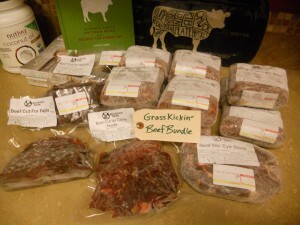 With the GrassKickin Beef Bundle, we are offering all the best grass-fed beef cuts in (1) lb packages for easy cooking. The bundle cuts are deep frozen immediately after cutting, vacuum sealed or shrink wrapped, and kept at -15 F degrees for preserved freshness. The bagged size of the GrassKickin Beef Bundle is 12″ x 8″ x 8″, fitting in most kitchen freezers and can be transported in a single grocery bag weighing about 16 lbs. 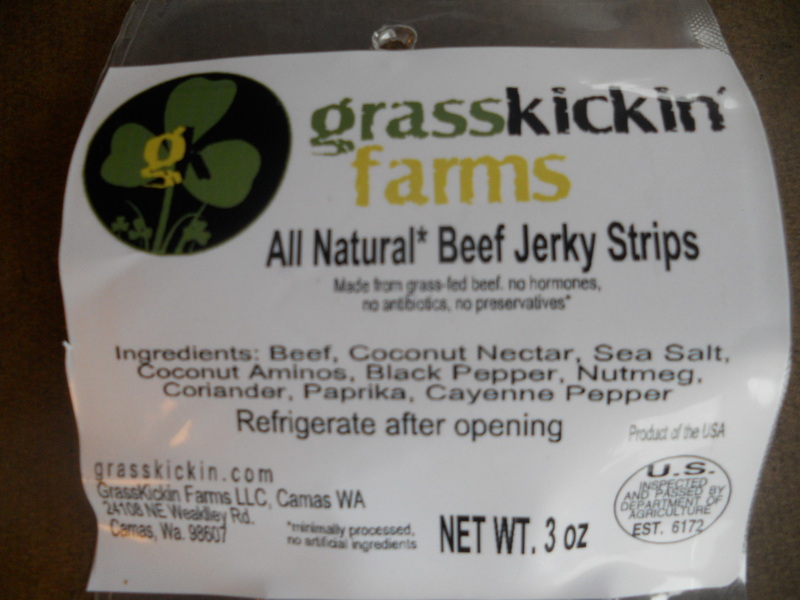 GrassKickin Gets Funded for Grass-fed Paleo Beef Jerky…Thanks Kiva! Big thanks to all 390 Kiva lenders around the world! Fund raising through Kiva is incredibly rewarding, with a bit of stressful excitement mixed in at the end. 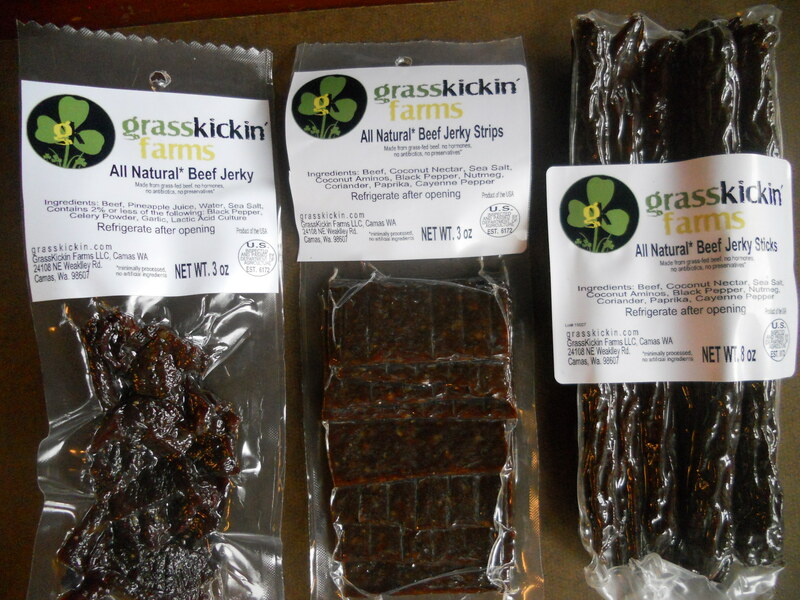 Our 100% grass-fed beef jerky has been smoked and we are getting the USDA labels approved for retail sales. We are super excited to get our first batch out to all of our patient farm customers. 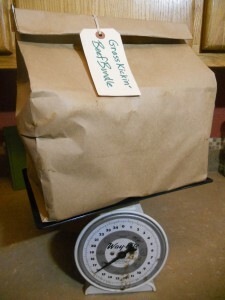 All of our ingredients are “paleo” with NO added preservatives, gluten free, and great balanced flavor! 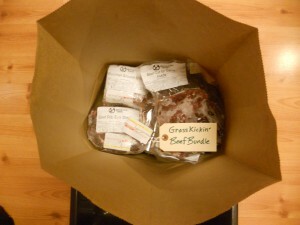 Go Grass-fed!